John Harvey McCracken was born on December 9, 1934 in Berkely, California. His earliest memories call back to being awed by the bright color of irises outside his windows and marbles. 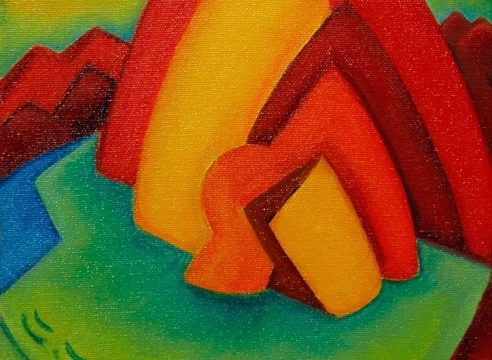 As a young man, McCracken was influenced by old master paintings, such as those by Rembrandt, and their varnished surfaces, which created depth of light and color. In 1957, at the age of twenty-three, he began attending the College of Arts and Crafts in Oakland. Once in art school, he realized that the production of so-called “fine art” was a career possibility. 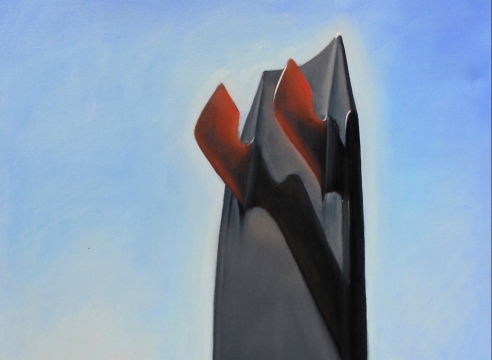 Under the tutelage of sculptor Tony Delap (b.1927), McCracken learned how an artist thinks and works. During this time, McCracken was influenced by the geometric style of Mondrian (1872-1944) as well as the abstract expressionist works of Barnett Newman (1905-1970). In his final year at the College of Arts and Crafts in 1965, McCracken had his first solo exhibition at the Nick Wilder Gallery in Los Angeles. The show consisted of simple geometric forms in bright primary colors, which critics compared to the New York artists Donald Judd (1928-1994) and Robert Morris (b. 1931). Over the span of twenty years, beginning in 1965, McCracken taught at various college campuses throughout Southern California and briefly in New York and Nevada. His most notable post began in 1965 at the newly created School of Fine Arts at the Universty of California, Irvine. Under the directorship of his mentor Tony Delap, the department became a hotspot for Southern California Conceptualist and performance artists. Fellow minimalist artists Robert Irwin ( b. 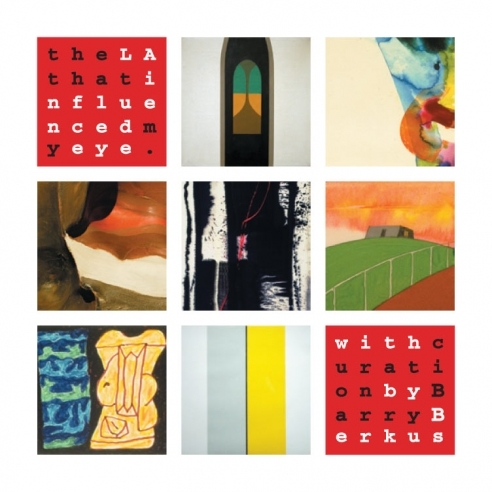 1928) and Larry Bell (b. 1939) taught as visiting artists along with McCracken on the permanent faculty. These men and other members of the faculty would help to create a new West Coast Minimalist movement based out of Los Angeles. In 1994, he and his wife moved to New Mexico, where he currently lives and works. Artist John McCracken will forever be remembered by many as California’s master of Minimalism. He first came on the scene with “the Cool School” at the Ferus Gallery on La Cienega in LA, flourished quickly, with a series of big museum exhibitions such as Primary Structures exhibition at the Jewish Museum in New York in 1966 and American Sculpture of the Sixties at the Los Angeles County Museum of Art in 1967. 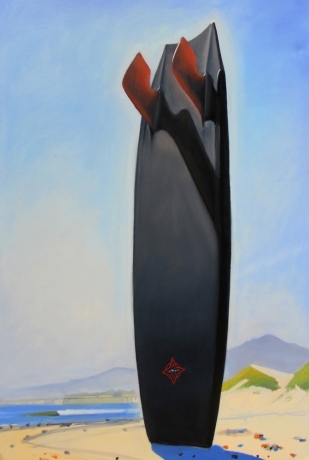 Although John McCracken is primarily known for his high-gloss lacquered wood sculptures, he also produced many paintings off and on throughout his career. As a young artist, McCracken began painting on canvas in an abstract expressionist style. Eventually his paintings became more three dimensional with the addition of lacquer, and the production of hanging reliefs. 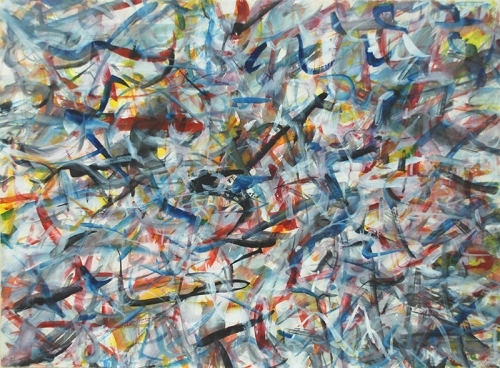 These paintings are what McCracken notes as being the “painting versions of the sculptures that were to come immediately afterwards.” His paintings are abstract, usually colorful and either show the use of broad, quick brushstrokes or depict exact geometric forms. He makes sure to keep the edges of his paintings and their relationship to the space beyond the canvas active. By doing this, McCracken has stated that his intent is to create paintings that look like they have merely been cut out from a larger plane. In early experimentations with materials, McCracken used plywood sprayed with car lacquer. Eventually the wood grain showed through and he moved on to covering the wood in fiberglass. This was still not the perfection McCracken wanted and as a result he poured resin on the top of the fiberglass-covered wood. It is this method that he felt produced the smoothest surfaces. Although the forms appear perfect and machine-made, McCracken spends hours, sometimes up to a dozen or more sessions, sanding and polishing the surfaces of his sculptures. 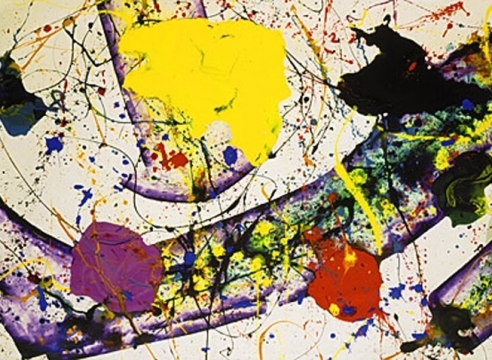 His finished works are so highly refined that the color itself seems to become the material. 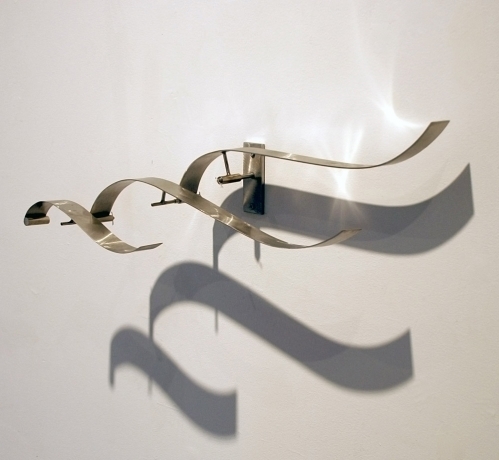 In addition to the colored wood sculptures, McCracken also produces highly reflective stainless-steel pieces that seem almost invisible in their surroundings because of their mirrored surfaces. His earliest works, which were on display in his first exhibition in 1965, were cube like and looked more like the physical manifestations of a Mondrian painting. McCracken then moved on to creating pyramids and plinth type sculptures out of individual plank-like forms. Eventually, McCracken was to completely pare down his already simple forms to the plank that he is most famous for. These planks, as McCracken himself refers to them, are either mounted directly on the wall, or more commonly, lean against the wall. 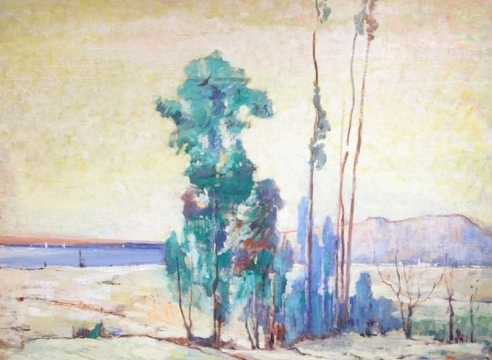 Throughout the slight changes in his style, the one thing that remains the same is the role of color in his works. Color is always an inherent part of his pieces, and never appears to be a layer applied on top of the sculpture. McCracken classifies these works as a bridge between the mediums of painting and sculpture. This is due to the fact that his planks are made from paint, wood, and canvas, like a painting, and because they lean against the wall, they simultaneously occupy the space of sculpture and the space of paintings. The form that McCracken is best known for takes the plinth or structural base of a sculpture and instead creates it into the sculpture piece itself. In his own words, McCracken states, “With the plank you have an angle that in a way really screws a space up, because its completely different from the space- it doesn’t line up with the world anymore, or line up with the man-made world. It’s at odds with it, or it crosses through at an angle, almost like a phenomenon that’s not expected to be there. Or it’s somewhat disorienting, or reorienting sometimes” (Kellein 38). McCracken has said that his concept of form and materials came from Egyptian art, “It seemed to me they had such an understanding of both physical material and form, and transcendence, that they just downright, almost impossibly, spiritualized heavy matter. They made the heaviest stone become abstract, become like non-material almost, pure idea” (Kellein 36). His admiration for these ideals is apparent in the way he takes wood and paint and makes them appear ethereal in their high color, high-gloss surfaces. 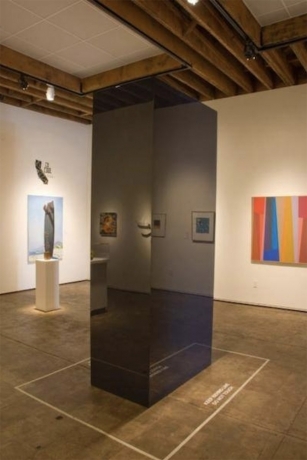 John McCracken is noted as one of the founders of the West Coast Minimalist movement that occurred in the late 1960s, along with such artists as Robert Irwin ( b. 1928) and Larry Bell (b. 1939). This artistic movement was classified by monochromatic, abstract and geometric sculptures and paintings. McCracken described the minimalist idea as trying to achieve the “essence” of something, “…trying to pare down to just what’s needed…speaking through the medium of pure form (Meyer 199).” While the minimalist movement was primarily centered in New York, McCracken and his colleagues were in Los Angeles creating highly pared down works of art that soon established a specific West Coast aesthetic. Because McCracken and his fellow artists were based in Los Angeles, the car and media culture of the city helped to define the high-gloss, monochromatic finishes that came to be known as Finish Fetish. 1. Thomas Kellein, McCracken. Basel: Kunsthalle Basel, 1995. 2. McCracken: Heroic Stance, the Sculpture of John McCracken 1965-1986. New York ,New York: P.S. 1, 1986. 3. James Meyer, ed. Minimalism. London: Phaidon, 2000. 4. Kenneth Baker, Minimalism: Art of Circumstance. New York: Abbeville Press, 1988. 5. Catherine Grenier, ed. Los Angeles, 1955-1985: Birth of An Art Capital. Paris: Centre Pompidou, 2006.